Every so often, a motion picture will stake out a territory and lay eternal claim to it. Such is the case with Day for Night , a warm-hearted yet clear-eyed comedy-drama that persuasively argues, with ample evidence, that a movie set is the most magical place on earth. The late, great Francois Truffaut’s Oscar-winning masterwork was not, strictly speaking, the first movie ever made about the joy of making movies. But it remains, decades after its Paris premiere, the yardstick by which almost every film on the subject inevitably is measured. Its very title, which refers to a process through which night scenes can be shot in daylight, continues to serves as critic-speak shorthand in reviews of everything from Tom DiCillo’s Living in Oblivion (1995) to Oliver Assayas’ Irma Vep (1996) to Roman Coppola’s CQ (2001). 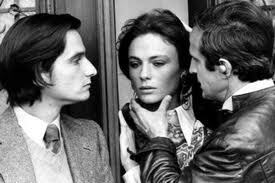 Truffaut cast himself in the central role of Ferrand, the affable, overworked auteur who’s trying to complete a sudsy romantic melodrama, Meet Pamela, within seven weeks at the Victorine Studios in Nice. The production is beset by mishaps and misadventures, some amusingly minor (a recalcitrant cat refuses to perform in a sight gag), some shatteringly tragic (a star dies in an auto mishap before completing a key scene). At one point, an egotistically impulsive male lead threatens to abandon the film because his current sweetheart has spurned him. Desperate times call for desperate measures by a selfless team player: The American-born leading lady, still vulnerable after a recent nervous breakdown, nevertheless volunteers to keep her feckless co-star interested in the production by feigning romantic interest in him. Very Lovely Post I have eved Read. Amazing best whatsapp status in hindi Collection.